I haven’t written for a while as things have been going really well with my eye and so there hasn’t been a lot to say. The sight in my left eye continues to improve – it is amazing that my left eye now sees a lot better than my right eye without a lense. Also the vision itself is so different. With my right eye which has KC I see more of a halo around lights and have little clarity when i look at objects (the edges seem fuzzy), whereas with my left eye everything seems more crisp and I don’t get the haloing around lights. It’s amazing and better than I had expected it to be at this stage. The blood-shot area in my left eye keeps getting better and the red area is getting less and less. my right eye has become a little blood-shot now but I think this is because I am using it a lot as I’m back to spending the days working at home and this involved being on the computer for a lot of the day. I’m driving again (just during the daytime) as my right eye is up to the standard to be able to drive, which means everything has pretty much returned to normal. I’m so pleased that I decided to write this blog and I wanted to say a huge thank you to everyone who has contacted me so far. It’s so good to hear that the blog is helping people around the world who are going to be having a graft or are considering the graft. 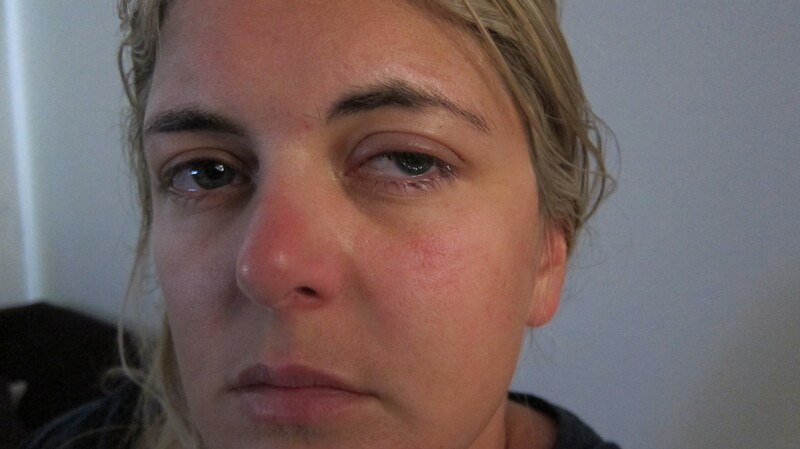 I wanted to write the blog to give an honest experience and account of a corneal transplant – and although everyone’s different and my experience is only what’s happened to me, my experience of a graft has so far been a very positive on. 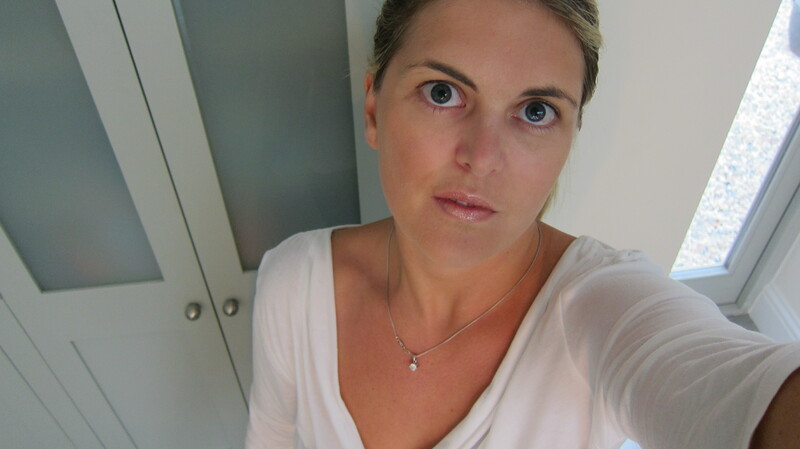 I know how frightening and nerve wracking the thought of a corneal transplant can be – I was really scared of the unknown and the recovering from the operation. I spent a few months after being told I would need the graft thinking of excuses of why I couldn’t have it done at that time, and wanting to put it off for a while, but doing it has been a really good decision for me. Yes the operation is not the most pleasant experience (but what operation is?! ), but this is only short-term when you wake up and may be uncomfortable. The first few days were not the best of my life, but only because I like to be doing things and I couldn’t as I was so tired, and the eye was sore (but nothing too awful). But other than that things have been great and they were never at any point that awful – or should I say as awful as I had imagined over the period leading up to the graft. Magnus has definitely helped me over the past few weeks (apart from eating my eye drops & knocking me in the grafted eye!) as from the start he has given me a reason to go out for walks, to get out of the house, and when I am feeling a bit fed up, take my mind of things. So, if possible – get a Boxer Puppy! I was meant to see Mr Larkin for follow up this Friday but I have moved this to next Thursday (16th) so I will update you on how this goes. Finally here is a picture of me and my eye today, and to compare below is me 1 day after the op! Your blog has really helped. I received my implant from KC Sept 12 and am finding the stitches to be very irritating. After learning they were with me for life, I took to the internet in search of post op experiences from patients. Hence your site. Thank you for taking the time to do this. I feel better about the long term. Hi my name is lacey and I’m due for my transplant in 5 days I’m extremely nervous. Can’t sleep stressing and all. I know you said it’s not as bad but does everyone gets a lazy eye ? Many thanks for your website, I’ve found it very useful, I’ve had a full cornea transplant on my left eye 5 weeks ago, my eye is still very lazy and it irritates, I understand every one is different but how long before did your operated eye start looking like your other eye and did u find you had a lot of irritation and how long before no irritation?